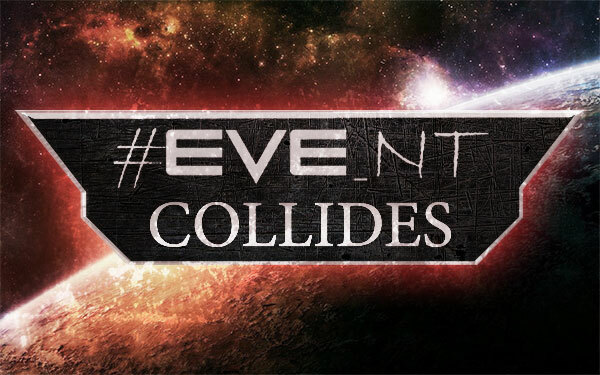 For those unaware, last Sunday marked the beginning of the newest chapter in the EVE payer run tournament scene: The first match of the first season of #EVE_NT Collides. If you want to read the details of the tournament in general, that’s not what this article is for, so just go here. Shadow Cartel has spent the last two years of the Alliance Tournament giving the top team the shivers with their high-DPS teams. In ATXII they damn well nearly knocked Pandemic Legion into the loser’s bracket followed by a solid run through the loser’s bracket. In ATXIII they took out tournament vets THE R0NIN before again being knocked down to the loser’s bracket by PL whereupon they managed to place even better than the year before. Hard Knocks was a team who, if you were in the know, were touted to be this year’s Camel Empire. The old practice partners of HYDRA and Outbreak. members (let’s not go further into that story), they represent some “higher-tier” pilots and theorycrafters. While they did not live up to the hype completely, they still made one hell of a run before finally falling to Exodus. These two teams may not be the best of the best, but that does not mean the best of the best aren’t worried when they have to face them. They are both very dangerous teams and well matched contenders for the #EVE_NT Collides crown. These are the setups each team submitted, the crossed out ones being those that were banned. Note that despite what the commentators say at the start, the jammers are required to be multispecs by the rules. Anyway, both teams bring setups that follow the format which the Tuskers were pretty dominant with in the preseason: CS/T2 logi/2x T3D/utility frig. However, both teams make, in my opinion, somewhat questionable alterations. Shadow Cartel drop the T2 logi to T1 to give them enough points to replace the utility frigate with a Blackbird. Even though it has fewer jams, I think a griffin and a T2 logi would have fared them better. The T2 logi for greater rep output and local tank, and the Griffin can whizz around the area without getting caught much more easily than the sluggish Blackbird. HK bring the Gallente version in Astarte, Oneiros, dual Hecate and Coercer. The Coercer gives their team a touch more DPS than the utility frig, but it’s much easier to kill and lacks the versatility of extra tackle, or bonused EWAR. It’s worth noting that throughout the entire series, HK favour ECM drones over SCs T1 reps bots, and throw them all on the Blackbird in an attempt to remove it from the fight without having to spend time killing it. The teams start by going after each other’s T3Ds, with a Hecte falling first, possibly due to a lucky jam cycle on the Oneiros. HK retaliate by going after SCs Augoror, but their Hecates can’t decide what to put their DPS on for a while, costing them a large chunk of their Oneiros’ armour tank. Finally tackled down, the damage of HK is focused on the Aug and it melts much faster than their own logi, thanks in part to it being a T2 logistics ship, and in part to the SC Absolution being no-prop beam-fit, making its ability to apply damage exceptionally poor. How the Oneiros stays away from the Confessors for so long I have no idea, and HK manage to pick off the SC Blackbird just before it finally goes down. The Cartel’s T3Ds fall in short order and the first game goes to HK. There was some pretty sloppy decision making and piloting from both teams in this first match, but it was quite enjoyable to watch the back and forth between two teams as each fought for control of the field for a good part of the game. The Shadow Cartel team here is a throwback to ATXIII, where TFI fleet comps were one of the most dominant team archetypes we saw. Focusing on good support rather than maximising DPS, they bring a Hyena to make sure that the TFIs DPS applies, and two Inquisitors to augment the battleships local tank. Hard Knocks bring a team that I have a hard time getting my head around. The Brutix Navy and Vigilant say full on DPS to me, but then we also have the sentinel and a Confessor. I ~think~ this team is quite well designed to take down the archetype mentioned in the previous match by focusing on their ability to kill T3Ds, but I’m just not sure. HK however are a solid team with some great theorycrafters, so odds are I’m just missing something. So here’s the thing with this match, I disagree with Shadow Cartel’s target calling. They start by going for the Augoror, and if you can pick off a logi quickly it’s a strong choice in EVE tournament formats. That said, I’m pretty convinced that they could have just blown through the reps of the Aug and taken out the two real threats to their team: the BNI and Vigi, thanks to their T1 resists and lack of sig bloom mitigation. Then, Cartel go after the Sentinel, which until the new missile disruptors come out does little but put capo pressure on their Inquisitors. I think that Cartel played it super safe with their target calling, maybe they we’re sure if they could break the BNI or Vigi straight off, and those went for the more guaranteed targets. SCs Hyena survives under fire from the Vigilant thanks to quick-cycling frigate reps over its tiny little buffer, the BNI starts pulling range despite its blasters not being able to do anything from that range, and SC take the match without dropping a single ship. I may disagree with the optimality of their target calling choices, but it won them the match pretty convincingly so I can’t be too critical. Again in this match, HK seemed to struggle at times to find a way to focus their fire, and it’s really hurting them at this point in the series. Both teams end up bringing setups they previously lost with; perhaps due to not wanting to reveal setups for further down the bracket, perhaps because they believed those were their best. Here we see if my speculation about this comps ability to fight T3Ds from the last round was in any way accurate. Almost a minute into the match, the Vigilant lands its megawebs on Shakaris Confessor, but the rest of their teams fire is focused on the SC Augoror. As both start to fall rapidly, out of nowhere Hard Knock’s Confessor is caught and goes down exceedingly quickly. Perhaps the HK Augoror wasn’t paying attention, or was out of range, but that’s a mistake that really stings in a format with so few ships on the field. SCs Augoror goes down painfully slowly while HKs Vigi starts losing its armour buffer, and the Cartel find themselves in the awkward spot of not having a logi when their opponents do, yet still having a similar DPS output. What’s more, the Sentinel is going to wreak havoc to that no-prop beam Absolution, hull tracking bonus or not. Cartel lose the first of their Confessors as it doesn’t have a logistics keeping it up, with their second following almost immediately. HK clean up the last of the Cartel team and take the game. Both these team setups are super cool. Starting with Hard Knocks, they’re running something of a glass cannon setup with the Navy Harbs providing a ton of well-applying laser damage with a decent shield buffer, two Harpies to hold their targets down and a Scythe to try and keep everyone alive. The Navy Harbs were strong before the battlecruiser rebalance, and now they’re absolute monsters. Cartel brings in a light missile kiting setup, though I must say I think the faster Claymore would probably have served them better over the Vulture as a command ship, giving that Cartel used up their Sleipnir in another setup. Cartel go for one of the Harbs straight off while HK go for an Orthrus. It is amazing to me that the Orthrus was caught by a Harb Navy. That’s an apocalyptically bad piloting error for that Orthrus pilot. The HK Harb holds, so Cartel go for their Scythe while their Orthrus is burnt down. The Orthrus actually represented a sizeable portion of their DPS, so as soon as it goes down their progress on the Scythe becomes seemingly glacial. Despite the Cartel Scythe being shot at far later than the HK Scythe, they both fall at approximately the same time, leaving the match at two Flycatchers and a Vulture against two Harb Navys and two Harpies. You don’t need to have the piloting knowledge and experience of Chessur or Suitonia to know how that’s going to end, and HK tie up the series. Congratulations to Hard Knocks Citizens, sympathies to Shadow Cartel, the match was well fought but only one team can go through to the next round.